The frying pan, it turns out, isn’t fungi’s friend. According to researchers from the Mushroom Technological Research Center of La Rioja in Spain (yes, the Spanish have a mushroom research center), the best way to cook mushrooms while still preserving their nutritional properties is to heat them in the microwave or grill them. Mushrooms are healthy critters: They contain a significant amount of dietary fiber; protein; amino acids; vitamins (including B1, B2, B12, C, D and E); and trace minerals. They’re also low in fat and calories. But the researchers found that all of this can be put in jeopardy by using the stovetop. Translation: Water and oil makes all the good stuff leak out. This doesn’t happen when you microwave or grill them. 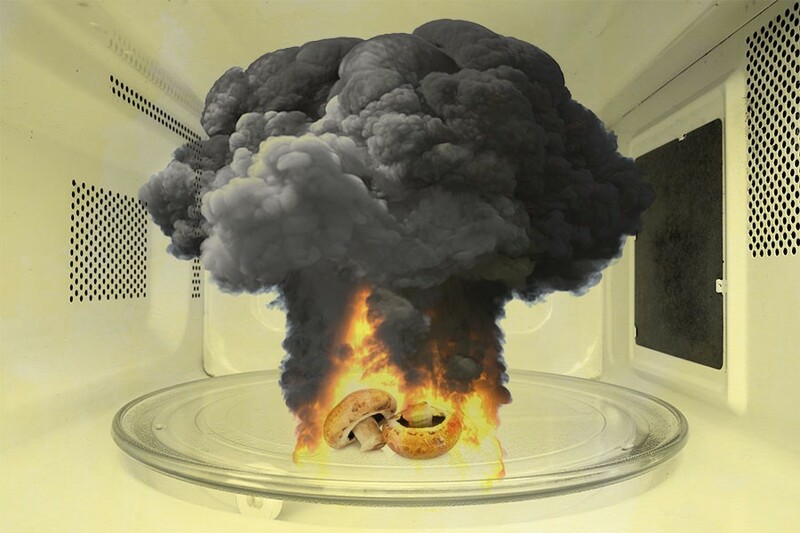 “When mushrooms were cooked by microwave or grill, there were no significant losses in nutritional value,” Roncero. In short, don’t cook any vegetables or eggs in a frying pan (on the flip side, cook your meat in the pan and not on the grill, as grill char on meat gives you cancer). Instead, you can spend all the time you’ll save by microwaving your food learning how to pretend to enjoy eating only raw veggies.